Uber is a common target for plaintiffs’ counsel as its novel and unique business model, along with deep pockets, are an ongoing target for applying age old legal concepts. A potential client with a seemingly lucrative employment misclassification case against Uber appears in your office. Uber is a common target for plaintiffs’ counsel as it's novel and unique business model challenging long-held maxims of enterprise, along with deep pockets, are an ongoing target for applying age-old legal concepts. All Uber drivers would immediately appear to satisfy Federal Rule of Civil Procedure 23 of ascertainability, numerosity, commonality, and typicality. A belief forms that you’re on the road to a lucrative case. All the Uber drivers seem to be misclassified as independent contractors instead of as employees, with all the attendant wage and hour laws implications. Anyone reading newspapers or blogs has learned that Uber is the subject of many class action lawsuits. In August 2018 Uber paid $34,000 per person to settle a class action harassment case, totaling $1.9 million for 56 current and former employees. In October 2017 Uber settled a $20 million class action for alleged violations of the Telephone Consumer Protection Act regarding non-consenting automated text messages. And Uber is currently facing a $650 million (or £500) from London cab drivers in an alleged illegal licensing dispute. The list goes on and on. As in any business case, one of the first questions counsel must ask a potential client is ‘let me see the contract.’ You find the clause requiring arbitration of all disputes. The plaintiffs’ bar suddenly meets a stop sign in litigation. But the law always seeks to protect workers in the employment relationship. Can the plaintiff’s lawyer travel to a healthy class action recovery, or is it the end of the road? As shown below, Uber has taken the down the stop signs and instead just smashed the highway to recovery with the arbitration clause wall, as to the usage and protection of arbitration clauses in employment and/or independent contractor agreements (another ripe area of litigation) is a potent defense for businesses. 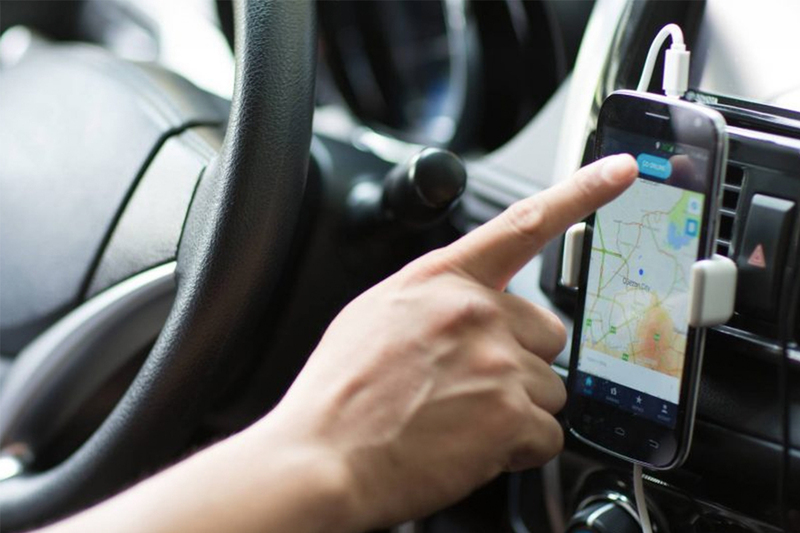 In a significant victory for employers, Uber has recently convinced the Ninth Circuit Court of Appeals to reverse class action certification orders in O’Conner v. Uber Technologies, Inc., demonstrating business defendants ongoing success utilizing arbitration agreements as a valid class action defense since the U.S. Supreme Court’s ruling in AT&T Mobility LLC v. Concepcion, along with the employer friendly Ninth Circuit Court of Appeals decision in Mohamed v. Uber Technologies, Inc. regarding independent contractors. The initial ignition of this saga starts with the U.S. Supreme Court’s 2011 decision in AT&T Mobility LLC where the court, in a 5-4 decision, ruled that the Federal Arbitration Act (FAA) preempts states laws barring contracts that forbid class-wide arbitration. Plaintiffs had sued AT&T on a deceptive advertising claim. The FAA provides that “a contract evidencing a transaction involving commerce to settle by arbitration a controversy thereafter arising out of such contract or transaction … shall be valid, irrevocable, and enforceable, save upon such grounds as exist at law or in equity for the revocation of any contract.” 9 U.S.C. § 2. The contract provided for arbitration of all claims along with a prohibition against class arbitration. The district court had denied AT&T’s motion to compel arbitration claiming the contract’s ban on class action was unconscionable. AT&T appealed arguing that the FAA preempted state law, even on the issue of unconscionability. After also losing in the Ninth Circuit AT&T appealed again to the U.S. Supreme Court. In AT&T Mobility LLC, the U.S Supreme Court has found that state laws barring class-action waivers in arbitration agreements were not a valid defense to compelling arbitration, as the FAA would preempt state law, essentially invalidating an exceedingly high number of arbitration agreements. And, of course, many employment relationship and wage and hour class actions are based on state laws as they are usually more beneficial to the employee than federal law. This decision forces the most reluctant state courts to appreciate that arbitration agreements are enforceable in most contractual settings. Our next step on the line leading to O’Conner v. Uber Technologies, Inc is the Ninth Circuit’s decision in Mohamed v Uber Technologies, Inc., involving Uber drivers putative class action for alleged violations for the Fair Credit Reporting Act and various state statutes regarding background checks. Plaintiffs also claimed they were misclassified as independent contractors. The Ninth Circuit Court of Appeals ordered the case to arbitration, finding that the arbitrator must determine the issue arbitrability. The court also found that the contracts were not adhesive and thus not unconscionable under California law. Unconscionability is the usual defense to avoiding application of arbitration clauses. In Epic Systems Corp v. Lewis, the U.S. Supreme Court considered the effect of the National Labor Relations Act (NRLA) on the Federal Arbitration Act (FAA). The FAA passed Congress in 1925. The NRLA was New Deal legislation passed in 1935 creating a legal framework for employees to work together for ‘mutual aid and protection’ --- in short, adding union organizing efforts. In Epic Systems Corp. and two related cases, the court was faced with the collision of two omnipresent federal statutes, the FAA and the NRLA. The employees involved had entered into employment agreements containing clauses requiring them to arbitrate disputes individually and waiving rights to collective legal action. The Epic Systems Corp. court found that although the NRLA provides employees rights to collective bargaining and other ‘mutual aid and protection’ it is silent as to ‘class or collective action procedures.’ Hence, the FAA was determined enforceable even with union contracts protected by the NRLA. The conservative majority conceded that this ‘policy may be debatable but the law is clear’. In a vigorous dissent Justice Ginsburg called on Congress to pass corrective legislation, unlikely considering the present political climate. Epic Systems Corp is seen to spawn future NRLA litigation whether activities not related to union activity would be covered by the act. And if the FAA is considered determinative then prosecuting class actions with arbitration clauses is probably impossible. On September 25, 2018, the Ninth Circuit Court of Appeals ruled in eight (8) different consolidated class actions in O’Connor v. Uber Technologies, Inc. whereby Uber drivers made misclassification claims as independent contractors rather than employees, along with ‘Tip Claims’ --- failing to pay drivers the full their full tip, in violation of California Labor Code section 351, and failing to reimburse business expenses, in violation of California Labor Code section 2802. In 2015, Plaintiffs had obtained class certification on their ‘Tips Claims’ based upon the district court’s determination that the subject arbitration agreements were unenforceable. However, in 2016, the Ninth Circuit reversed that decision in response to Uber’s motions to compel arbitration in Mohamed v. Uber Technologies, Inc., discussed above. The district court had already denied the expense reimbursement claims due to uncertainty whether particularized expenses were ‘necessary’ on a class-wide basis. In the wake of our decision in Mohamed, the class certification orders must be reversed. Certification of the class by the district court, notably the court’s determinations that the requirements of Rule 23 were satisfied, was premised upon the district court’s conclusion that the arbitration agreements were not enforceable. The class as certified includes drivers who entered into agreements to arbitrate their claims and to waive their right to participate in a class action with regard to those claims. As we held in Mohamed, the question of whether those agreements were enforceable was not proper for the district court to answer. The question of arbitrability was designated to the arbitrator. Hence, the Ninth Circuit focused on the fact the agreement delegated to the arbitrator the question of whether a dispute arbitrable in the first instance. The important take away is that the federal courts have eviscerated class action enforcement of most state laws when an arbitration clause preventing such actions exists and that even the issue of whether the arbitration clause was unconscionable is an issue to be resolved by the arbitrator.